This coming week is a hectic one in boxing circles with more fights of note than we've had pretty much all year. 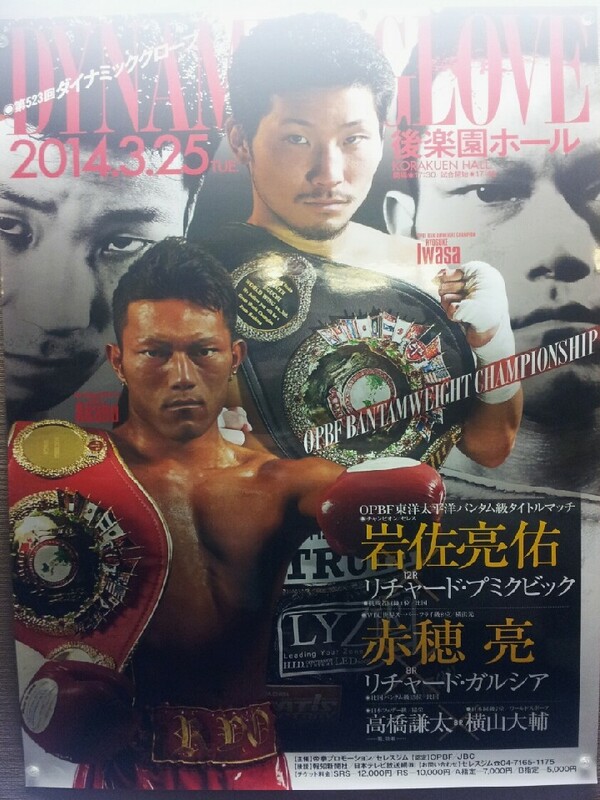 Once such fight is the fantastic looking OPBF Bantamweight title bout between Ryosuke Iwasa and Richard Pumicpic. The bout, one of the most eagerly anticipated OPBF bouts of 2014, is a genuinely interest bout and should tell us how tough both men are both physically and mentally. Of course Iwasa goes in to this as the favourite though Pumicpic has a reputation for not reading the script and that is why we're so excited about the contest. It's probably a good thing that the bout is so good as the poster doesn't make us want to watch the fight all that much. That's not to say the poster is bad as such just that the fight deserves better given it's fantastic quality.